Featuring fresh summer ingredients with minimal cooking. 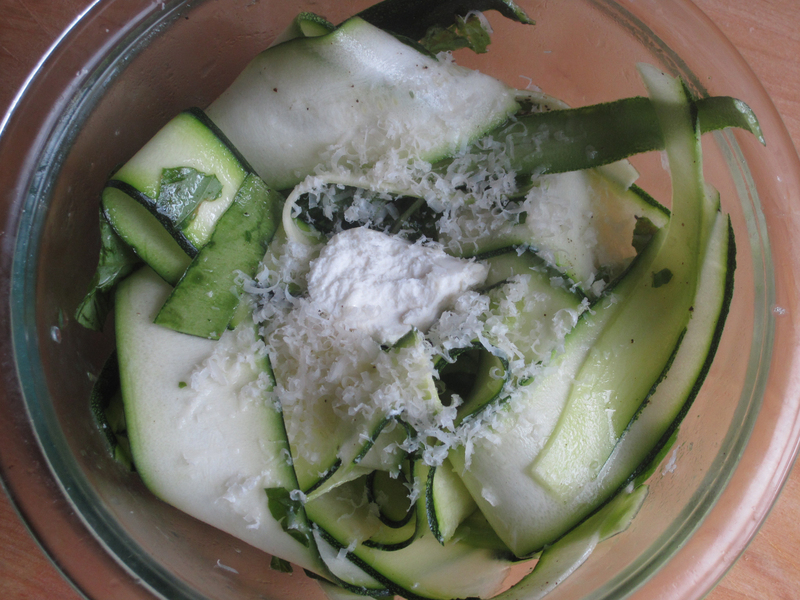 Love this zucchini ribbon salad- very light and refreshing. Paired w. goat cheese- delicious. There is an abundance of zucchini in the summer and i’ll tell you that the flavor in your dish- is largely dependent on quality of your zucchini- so pick out a good one, medium size and firm is your best. And the joy of summer corn. 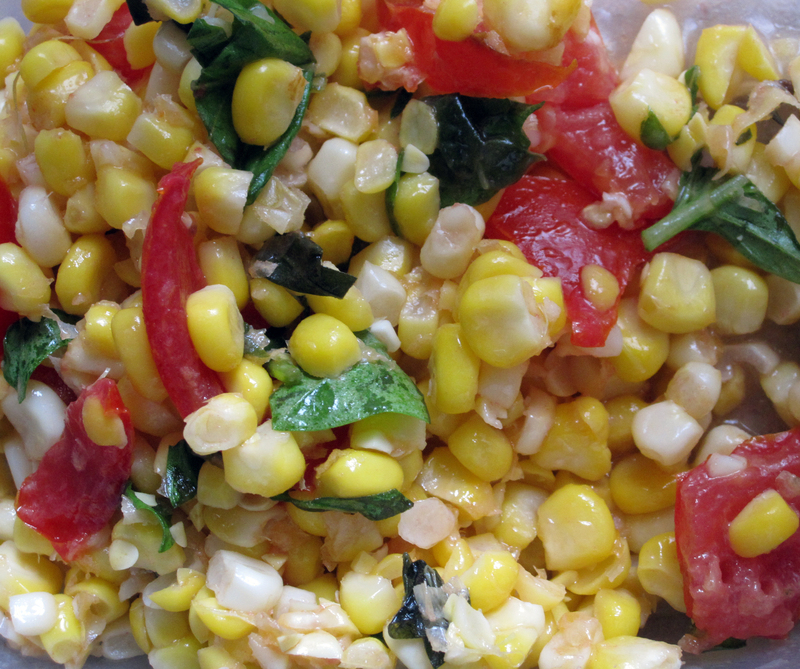 I love fresh corn, off the cob, quickly sauteed. Shave zucchini into ribbons w. vegetable peeler. Drizzle w. olive oil and juice of lemon. Chop a handful of basil. Sprinkle w. sea salt & pepper. Mix up. Top w. cheese. Husk the corn. Take a serrated knife and cut raw kernels off over a big bowl. Heat 2 tablespoons of olive oil in skillet over medium high heat. Add garlic, saute 1 minute. Add corn and cook another 5 minutes. Take off heat, add half the basil.Transfer back to big bowl, cooling slightly. Add rest of tomatoes, basil, vinegar and rest of basil. Season w. salt & pepper.